thanks that cleared things up for me. Thanks from a fellow HAM. This is a nice post that I’ve shared with some family and friends who aren’t hams, but do have GMRS/FRS radios. It may not make them better radio operators, but you never know when knowledge will come in handy. So with that being said… For simple family communication using the local repeater, after we get our license… What is a good radio with some bells and whistles… In fact what are some simple bells and whistles to look for? I have seen the Wouxon radio advertised a lot. Glad you found the article useful/helpful. The Wouxon radios are good value. But the Baofeng UV-5R series is even better value, and would be my recommendation for an entry level Ham HT. I’ll be writing about that more in the next few days, waiting on some answers to some questions from the FCC first. Speaking specifically of the Baofeng UV 5R, it has the capability of covering the FRS and MURS frequencies. However, as I read the rules, the Baofeng is (1) over powered for these frequencies under FCC rules, and (2) are not type certified and can’t be because FMS and MURS can’t have detachable antennas. I realize the if the SHTF, rules become secondary to dealing with an emergency. Even the FCC rules say that. But say a family has a mix of hams and non hams. Some have FMS/MURS radios. What is the realistic danger of a ham getting in trouble talking to them on low power on a BAOFENG? 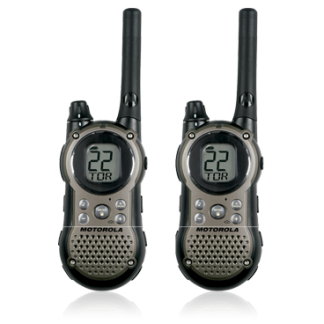 It seems really silly for the ham to have to carry two radios, Any hope of getthing the rules changed to allow family conversations with licensed HAMS using such a versatile reg as the UV 5R to talk to others on a walk in the woods? On the FCC link for GMRS at the bottom of the page it makes a statment “Note that some dual-service radios transmit with higher power on FRS channels 1 through 7; these radios can be used without a license only on FRS channels 8 through 14.” What it sounds like to me is that ones like the UV-5R could be used on 8-14. I’d like clarification on that myself. Then my question is which ones are 8-14 since they aren’t numbered? This is great info. How can I find a repeater and repeater frequencies for my GMRS radio? GMRS repeaters aren’t as ubiquitous as ham repeaters are, and many of them seem to require membership in an operating club.